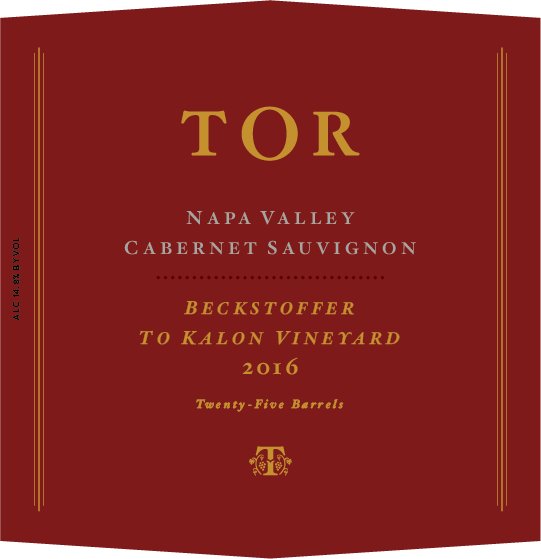 Some of the most venerated dirt in the world, Beckstoffer To Kalon comes with a pedigree of game-changing California Cabernet Sauvignon. When Andy Beckstoffer arrived in Napa Valley in 1969, what would eventually become his most celebrated vineyard property was known simply as BV #4. It was André Tchelistcheff who pointed out, almost as an aside, that BV #4 happened to be part of the historic To Kalon Vineyard, planted in 1868 by H.W. Crabb. Beckstoffer farmed for Beaulieu Vineyards for many years and, although fruit from BV #4 made the category-defining Private Reserve, the benchmark for California Cabernet Sauvignon, he never heard another reference to To Kalon. Hard to believe today, when Beckstoffer To Kalon is one of the most widely known and celebrated vineyards in the world. Jeff’s winemaking style simply mirrors the Beckstoffer winegrowing approach. You see something truly special and try to stay out of the way as much as possible.